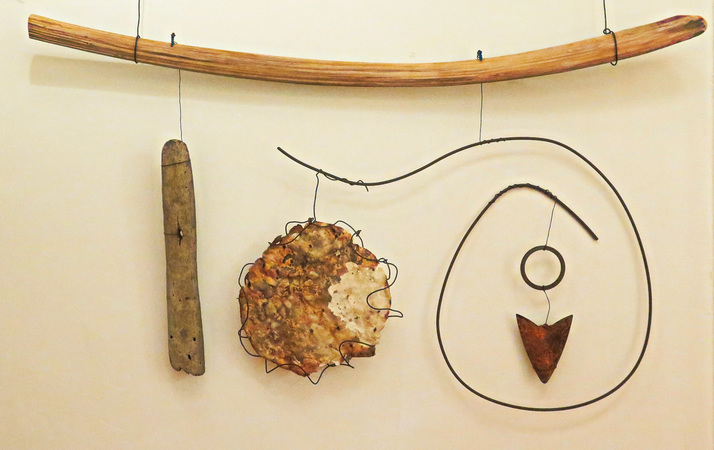 Assemblage - BEN ALLANOFF SCULPTURE . American Thangka. 2015. Steel, glass, and wood on wood panel. 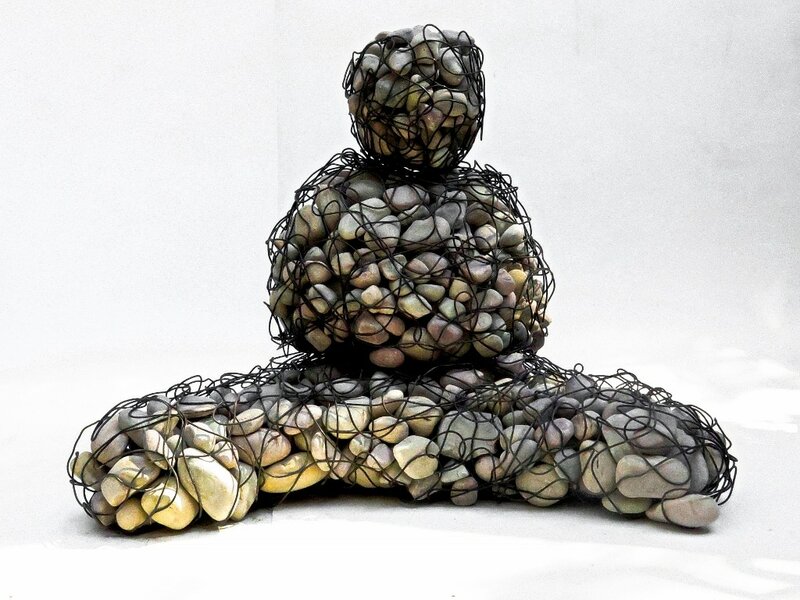 48" x 48"
Stone and Wire Buddha. 2016. Private Commission. 30" tall. Dragon. Bones and steel. 24" x 10"
Flying bones. 2015. Bone and wire. Approx 12" x 10"
Jawbone. 2014. Bone and steel. . 18" x 26". This is a pipe. 2014. Steel pipe and wire. Approx 10" tall. Stacked Cylinders, 2014. Stone. 10"